Everything is going according to plan. The lander Philae is now flying to the comet, en route for touchdown. 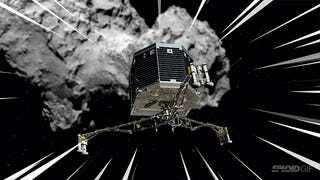 Soon we will have images of Rosetta floating in space and Philae on its way to the comet 67P/Churyumov–Gerasimenko. Follow the live coverage here.